The Thunder .380, Bersa's best selling model, offers numerous valued features for accuracy, reliability and versatility in a lightweight, compact design. It's easy to appreciate so much for so little. The Thunder .380 has earned a worldwide reputation of quality and is truly one of the best performance-for-price buys on the market. 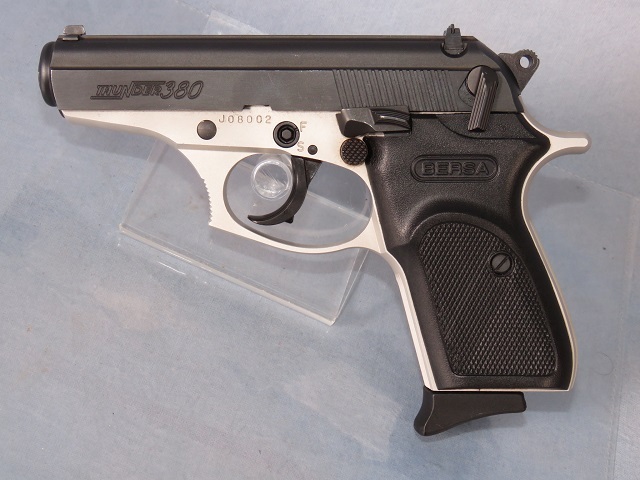 It's lightweight, small-frame and ideal capacity combines with Bersa's time-tested reliability and accuracy to make the Thunder .380 an excellent choice for personal protection.